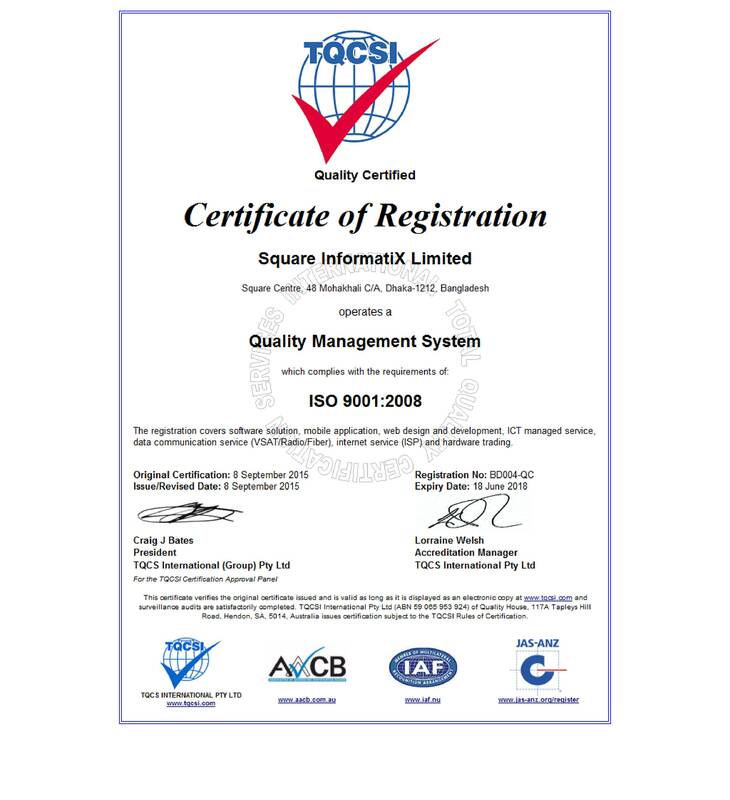 Square Informatix Limited, an ISO 9001:2008 certified company, provides you with quality ICT solutions and services with competent manpower using standard devices. It offers you one-stop and complete ICT solutions ranging from requirement analysis to system design and implementation. And obviously, you can expect here the same SQUARE QUALITY. We don’t want you to rely on us blindly, but you can do so keeping your eyes wide open. Square is one of the few local companies that opted for computerization in the early 1990s. The then IT division of Square Pharmaceuticals later emerged as a separate entity with the name ‘Square InformatiX Ltd (SIL)’ in 2000. 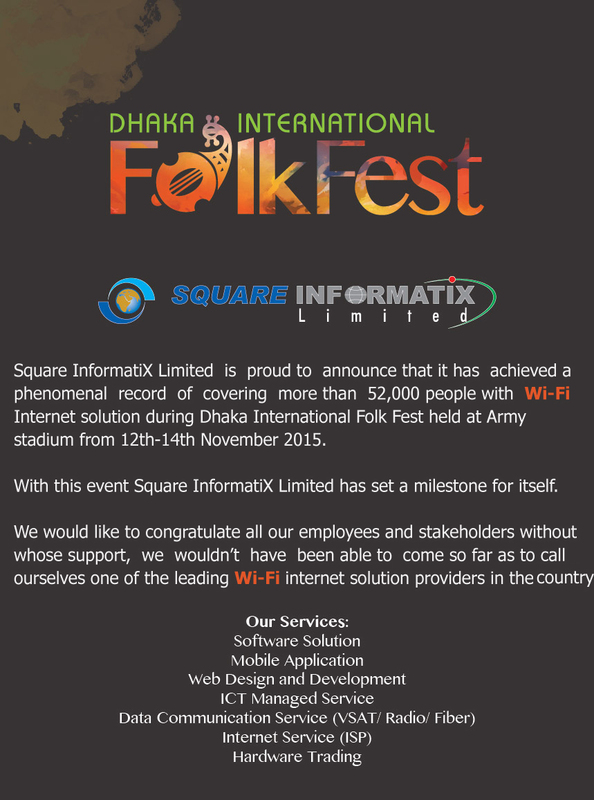 Square InformatiX is the pioneer in internet and data communication service in Bangladesh. 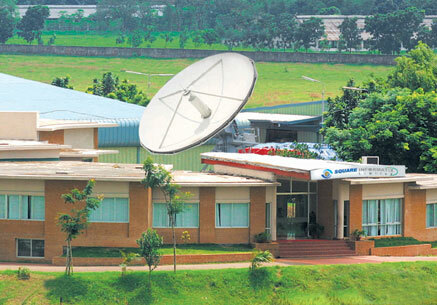 It made the biggest ICT investment, first of its kind in the country, by setting up a satellite earth station at Savar that facilitates VSAT connectivity across the country without geographical barriers. Square can provide business-grade high-speed connectivity anywhere in the Bangladesh thorough its cutting edge satellite technology. Square InformatiX provides broadband internet service through Fiber and Radio. Square InformatiX has 24 distributed customer service stations in all major district headquarters across the country. A pool of highly experienced customer support engineers have been posted in each station who can provide service to end customers anywhere in the country within a short notice. All the services are monitored 24/7 from the central head-office in Mohakhali, Dhaka. Square InformatiX has three more dedicated offices including a hi-tech park at Karwan Bazar.